In most regions of the world, mobile phones seem to be the power that keeps the world turning. So, it can be incredibly difficult when you’re in need of a new phone, but your budget stands in the way of getting what you want or need. Luckily, there’s a few things you can do to actually cut back on the amount of money you spend on mobile phone. These tricks should help you to afford a better phone without forcing yourself to spend a whole lot of money. This should allow you to get back in the game, so you don’t fall too behind with work or your social life. So, get ready to shop because now you’ll be able to finally get the mobile phone you want without the extra stress. When it comes to mobile phones, there are a few brands that everyone wants to have. However, these brands can really cost a fortune and don’t particularly last longer than other phones on the market. So, when you’re shopping for a new phone you might consider looking around for other brands that might operate just as efficiently as Apple and Samsung phones. One of your best options is to get on a phone website and look at reviews. To make sure you are getting honest reviews, check out the reviews on multiple sites. You should have good luck looking on sites like Amazon, Walmart and even your phone carrier, but it would also be wise to look at the reviews from tech websites or blogs too. Off-brand phones are now just as amazing as their big name competitors, so you may even find a phone that is better than your previous model if you’re willing to do the research. Of course, if you have your heart set on a popular phone model or you simply want to save more money then there is one great option to consider. That is, purchasing a refurbished model. These phones have been previously used and turned into a company, but the company works to ensure that the phones are as close to new as possible. When you purchase a refurbished phone, you can actually read the potential problems it might have and what precisely was fixed on the phone. Shopping for these phones can be easy and safer than purchasing just a used phone. However, you should be careful as to where you buy the phone from. Usually, larger scale stores like Amazon and Walmart will offer protections when purchasing refurbished models from them, but there are many websites that specialize in refurbished phones that could rip you off. So, make sure you do your research before shopping on such websites. When new phones are about to hit the market, there is so much hype around that it is hard not to throw caution to the wind and purchase the new phone right away. However, this can cost you a lot more money than you want or need to spend on a phone. One of the keys to getting new models is to be patient. This will allow you to save up money. By the time you have saved the money for the phone, then chances are it will be much cheaper than it was on the date it was released. On top of that, sometimes new phones have many bugs that need to be worked out. By waiting on your phone, you will be able to see what the bugs are to assess if you want the phone. It also gives the company enough time to fix the bugs, so you don’t have to worry about your personal information being vulnerable. If you can hold out to buy a new phone, then you should always wait until a good sale comes around. Some of the best times to purchase a phone are during Amazon’s Prime Day, Black Friday and Cyber Monday. However, there are sales that pop up here and there throughout the year. These tend to happen around holidays, so keep your eye out on good deals whenever you’re searching for a new phone. By waiting, you will ensure you get the phone you want for less. It can also allow you to purchase a higher quality phone for the budget you may have set aside for a mediocre one. One of the best things about mobile phones is they can always be turned in for money when we’re finished with them. There’s lots of websites that will take your phone and refurbish it, which will allow you to earn some money from your old phone. If you don’t want to go this route, then you can always factory reset your device and sell it for yourself. You might make a bit more money going this route, but it will depend on the quality of your phone. Even if you have a phone that is damaged, you can still get some money back for the item by recycling it. Overall, if you go the extra mile you should have a little extra money to put into your new purchase, which will save you some money too. Although an extra cost isn’t something you want to see on an already expensive bill, you should always opt to add protection to your phone. Even if you are an incredibly careful person, a little insurance on your phone can help prevent you from spending a fortune any time soon. Of course, there is more protection than just insurance though. Another important investment is a phone case. This should cover everything but the screen of your phone. There are many great brands that can even stand up to protection for those who might work on construction sites or other hands on jobs. A screen protection is another great option. This will help keep the screen from getting scratched and smudged but can also add a little more protection when it comes to dropping your phone and so on. These investments will ensure your phone will last much longer so you’ll get more for your money. One of the most important things you can do when purchasing a phone is put in the research needed to make a smart purchase. No matter the brand or model you should choose, you should look at reviews of the phone before you buy it. This will allow you to see if there are things about the phone that just don’t suit your needs. It will also give you a better idea of what the phone features, so you can see if the phone is up your alley. Apart from reviews, you should also look at the technological details, so you can make sure the phone has the processing power, battery life and memory that you need. Another thing to consider is your personal needs. If you’re looking for a phone for the office then you might check out battery life, memory, as well as the type of apps it can use. Gamers or those looking for entertainment phones might look at screen quality and size as well as memory and processing. Of course, there’s many other things to consider so look around before settling on a phone. Your cellphone service provider might have you believe that you have to purchase a phone from them. They often offer plans that allow you to get some of the highest quality of phones on a payment plan which tends to cost you a bit more than actually buying the phone outright. However, you never have to purchase a phone from your provider. Instead, try looking around for an unlocked phone so you can bring your own phone to your cellphone company. Buying a phone outright saves you interest fees as well as the price hike that many companies add to the phone. Best of all, you can purchase just about any phone you would like unlocked, so you have more variety and can shop around for the best deal with ease. This will allow you the freedom of changing plans at will without having to get a new phone each time. If you’re in the market to buy a phone quick, but don’t have a lot of money to put into it then you might consider shopping for phones that are upgradeable. These phones allow you to add in memory, improve the battery and so much more. This will allow you to slowly improve on the phone so that it won’t be as big of a burden on your budget. With this ability you may even be able to get your phone to last a lot longer than your typical phone would. You will have to do some research as to which phones will allow you to do this though. If you’re in doubt, then talk to an expert to see if someone can steer you in the right direction. Of course, purchasing the phone isn’t the only cost that you should consider. Your mobile phone plan can also leave you hurting if you purchase the wrong phone. Before you decide on a phone, you should make sure that you can use the phone on your current phone plan. If not, then you might have to pay an early termination fee or other fees to switch plans. If your phone has a problem with using data, then you might also want to consider another phone or another plan. One of the best options to choose is a plan that offers you unlimited data so that you can use any phone on your Wishlist. If you want a specific phone then talk to your provider, or other providers in your area, to see which plan would help you save the most money on your new device. 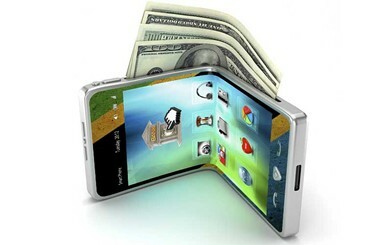 Your mobile phone doesn’t have to leave you longing for money. Rather, you can easily save yourself a bundle if you’re careful while shopping for your new device. This will allow you to enjoy your phone even more and might even help you to stick with the same phone for much longer. This should help make your mobile phone shopping experience even more enjoyable.